Hurricane Windows & Doors of Tampa Bay and Sarasota offers a wide selection of doors for homes, condos, and mobile/manufactured homes. Constructed with the same high quality standards and materials as the windows we offer, we offer doors that are both impact resistant and energy-efficient. Made with materials such as vinyl, aluminum, glass, steel, and fiberglass, our doors add a whole new level of style, functionality, and security to your home. Our replacement and new construction doors are available in Smooth, Stainable Wood Grain Finished, Pre-Finished Wood-Grain, Pre-Painted Smooth or Textured finishes from BHI and Therma-Tru. 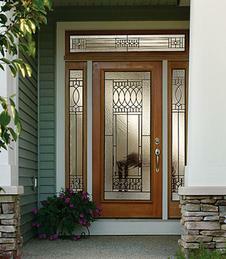 Glass options are in SDL, ODL, Clear, Low-e, and tinted. Manufacturers include PGT, Therma-Tru Doors, BHI Doors, CWS and More. Door styles include sliding glass, full-lite, half-lite, vents, � lite, blinds between glass, acrylic, vinyl Eze-Breeze, vertical 4-track, and more. We have large selections of custom colors, custom stains, blinds, and decorative glass to choose from. 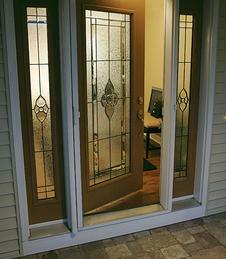 *Click any door series listed below for a full product brochure.